You are probably reading this because you’ve just created a blog, not getting Google search engine traffic, or a friend told you that you haven’t indexed your blogger blog, and you’re confused on how to submit your blogger’s blog to Google webmaster, then you are in the right place. The success of many blog depends on how well the blog is seen by search engines. Submitting your blog to Google webmaster is a must for every blogger, only if you want your blog to be invincible to Google, and I know you don’t want such a thing to happen. Then you need to pay very much attention to today’s discussion. Note: The next article I will publish will be on how to submit your blog to Bing. Therefore, I’ll advice you subscribe here to get our instant message in your box for the next post. Now let’s get down to our discussion. One of the benefits of submitting your blog to Google webmaster is that whenever you publish a new site, I will notify Google and your blog will be index very fast on Google search engines. And if your blog is not submitted to Google webmaster tool, there is the tendency that your blog post might not be indexed on search engine and that makes your blog visibility to be limited to the world despite your hard work. I’m glad to let you know that it was only when I submitted my own blog to both Google webmaster tools and Bing webmaster that my blog started having wonderful traffic. My blog actually increased by 70% of its normal view from Google, so what are we talking about. Though, some newbies might be confused about what we called sitemap because this is what you need to set and submit in the Google webmaster tool. With a simple definition of sitemap: Sitemap is the number of lists of pages on your blog which is accessible to crawlers or users. 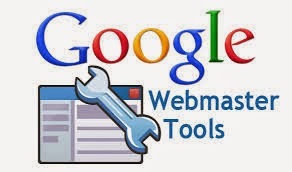 Therefore, fasten your belt and pay attention as I’m about to take you to the journey of a thousand miles with Google webmaster tool. 3. Then click on the sitemaps button. 4. Click on ADD SITEMAP button that shows on the right side of the page. 5. When you click the add sitemap, a small box containing your site url with a space will show up like the diagram below. After you’ve done the necessary addition of those links, then press submit and later you’ll see a notification that your code has been added successfully as sitemap. You will definitely see the number of URL submitted and the space for index might be vacant for now, but in few hours when Google bots comes around, he will definitely indexed the exact post on your blog. If you find this post very informative an interesting, never hesitate to share with your friend who you think might benefit from this trick and tell us how this post has helped you via the comment box. Your questions are also welcome through the comment box. Thanks. Previous articleWhen Will Be The Next Google PageRank Update?